It is a special experience to hear classical music performed in its entirety and not just the "most beautiful moments." The integral connection of the melodies and harmonies are only then revealed as the works of genius. 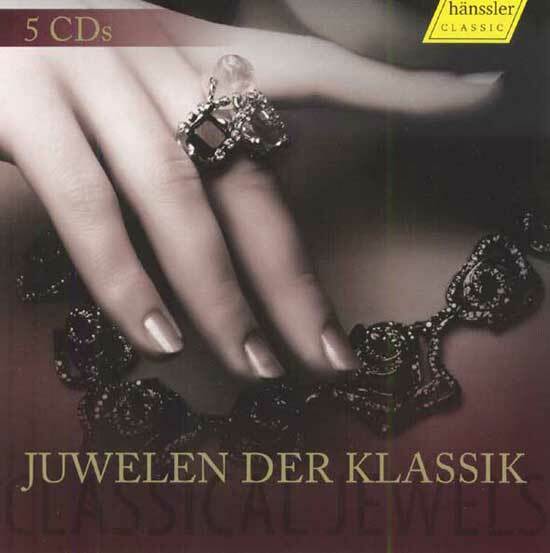 These five CDs present to the listener complete works: whether the melodic concertos of Vivaldi, Telemann, Bach, Mozart or Mendelssohn, orchestral pieces from Händel, Haydn and Tschaikowsky - here are the jewels of the classical music, as they were originally conceived, performed in their entirety for the enjoyment of music lovers everywhere.